Mastic encompasses several genres. While sitting strongly in the realm of dark fantasy, it exudes paranormal and romance. The mood and tone of the novel are cleverly crafted. The newly designed cover art reflects the romantic element of the novel, while maintaining its mystery. The characters are three-dimensional, and I immediately cared about them. I loved to love some and loved to hate others. It's so easy to get to know each of the characters, and their relationships with each other are believable. Not only are the characters three-dimensional, so are the background and surroundings. Each is brought to life, creating a beautiful backdrop for the characters. 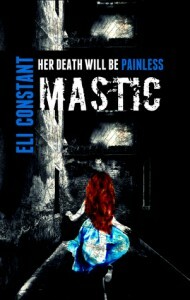 This novel crosses genres so skillfully, no matter what your favorite genre, Mastic will be an instant favorite.